Well, it's official. 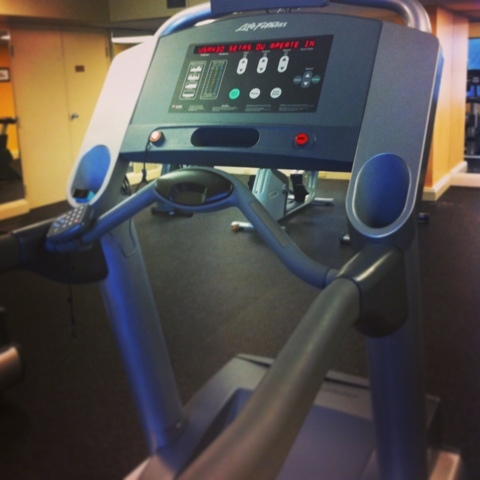 The treadmill that gave me my 10:25 minute mile the other day was magic. I tried to do the same thing again this morning on a different treadmill at the hotel gym and I was back to my previous personal record (PR) of 13-some minutes. My sister tried the "magic treadmill" last night and she said she could get all the way up to 9 mph during her run; something not typical for her. The "magic treadmill" is obviously not calibrated right. This explains my very sudden, and unbelievable PR from the other day. You can read more about that by clicking here. The "Magic Treadmill". I will miss you. 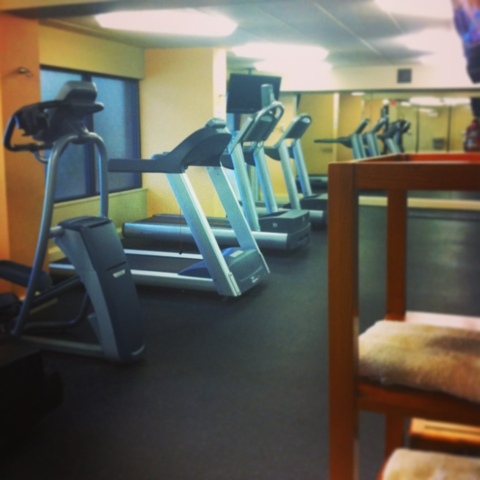 The hotel gym that we have been using the past couple days. Even though I now know that my 10:25 minute mile wasn't a "real" PR, it was really exciting to see that number. 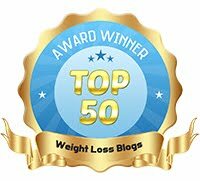 I had some doubt when I first saw the number, but I am super proud that I believed in myself enough to share what I thought was a personal record at the time. 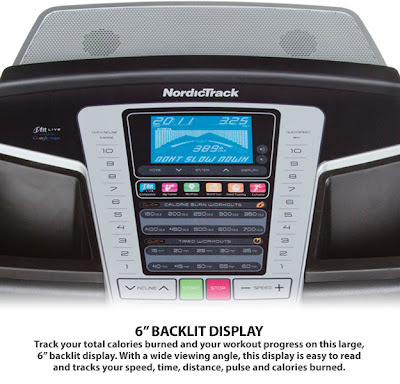 I can't wait until I see that number on a fully calibrated treadmill, one day! With more practice, it will happen. That's one of my favorite things about running. If you stick with it, you will eventually start accomplishing things you never thought possible. It will take time, but it really will happen. 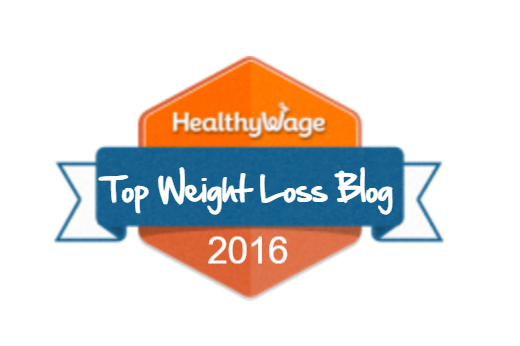 It's incredibly motivating and it feels so good! Speaking of treadmills, today is the day. My husband and I have had a week to think about it and we are going to make "the big purchase" this evening when I get back from my long drive from Harrisburg. 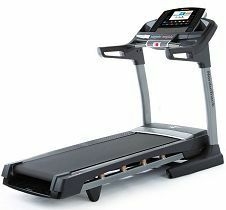 Right now, Sears has this treadmill listed as $569.00 online at Sears.com. This is a great price because it is usually listed for $899. Also, I have heard that if you are a member and go in store today, you can get the treadmill for as low as $499. Don't quote me on this, though. We are going to go in to the store tonight to see if that's true. Don't tell the sales guy but either way, we are pretty much sold! What's your favorite part about running? Not a runner? Then what is your favorite cardio exercise? If you haven't tried it yet, you must try a restaurant called The Bonefish Grill. My sister and I tried it for the first time last night and it was amazing. 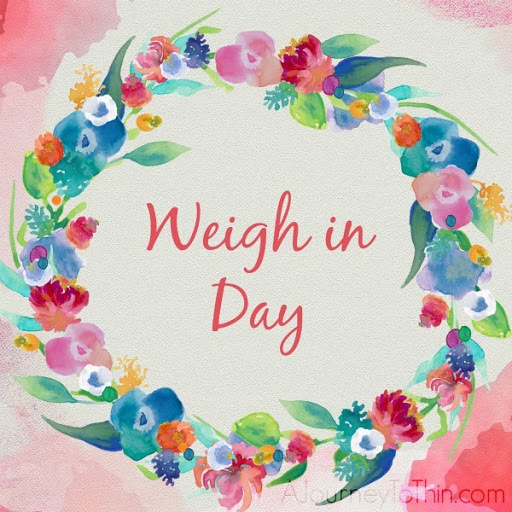 The service was incredible, the atmosphere was very relaxing and the food was amazing! 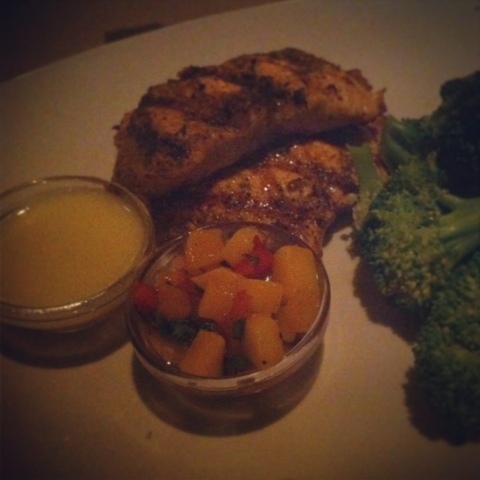 I tried the Atlantic Salmon with a lemon butter sauce and a mango salsa sauce on the side; both were incredible! They had a great drink list, too. 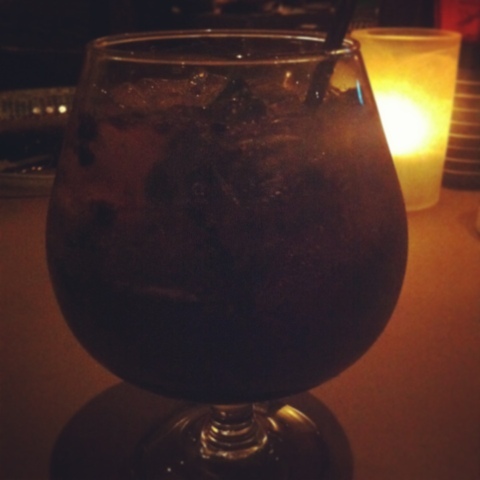 I tried the spiked blackberry elixir for only $5. I have been on a blackberry kick lately and this did not disappoint! Have you ever eaten at Bonefish Grill? What's a good entree you have tried? I can't wait to go back someday! I think I will go with tapis de course for best treadmill now. Eat it, All of it.